The initial movie (1963) was about a group of strangers seeking buried treasure. Just before he kicked the bucket, Jimmy Durante tells them the treasure is under the ‘Big W’. Though not in Hawai‘i, that ‘W’ apparently motivated others to create their own Big W at the Wai‘alae Country Club. Wai‘alae’s Big W has been around since 2009 – over 80-years after the golf club was formed. The course was part of the Territorial Hotel Co’s Royal Hawaiian Hotel – the golf course opened for play on February 1, 1927 and was the land-based extension of the luxury cruise folks had on Matson cruise ships. Later (September 30, 1942,) Waiʻalae Country Club was incorporated. The military built a replacement for the Pavilion (a building used for dining and dancing that had burned down) because of the heavy use of the course by military personnel during the war. The new golf course at Waialae-(waialaecc-org)-1929. Alexander Young was born in Blackburn, Scotland, December 14, 1833, the son of Robert and Agnes Young. His father was a contractor. When young, he apprenticed in a mechanical engineering and machinist department. One of his first jobs included sailing around the Horn in 1860 to Vancouver Island with a shipload of machinery and a contract to build and operate a large sawmill at Alberni. He left Vancouver Island for the distant “Sandwich Islands,” arriving in Honolulu February 5, 1865; he then formed a partnership with William Lidgate to operate a foundry and machine shop at Hilo, Hawaiʻi, continuing in this business for four years. Moving to Honolulu, Young bought the interest of Thomas Hughes in the Honolulu Iron Works and continued in this business for 32 years. On his retirement from the iron works he invested in sugar plantation enterprises. 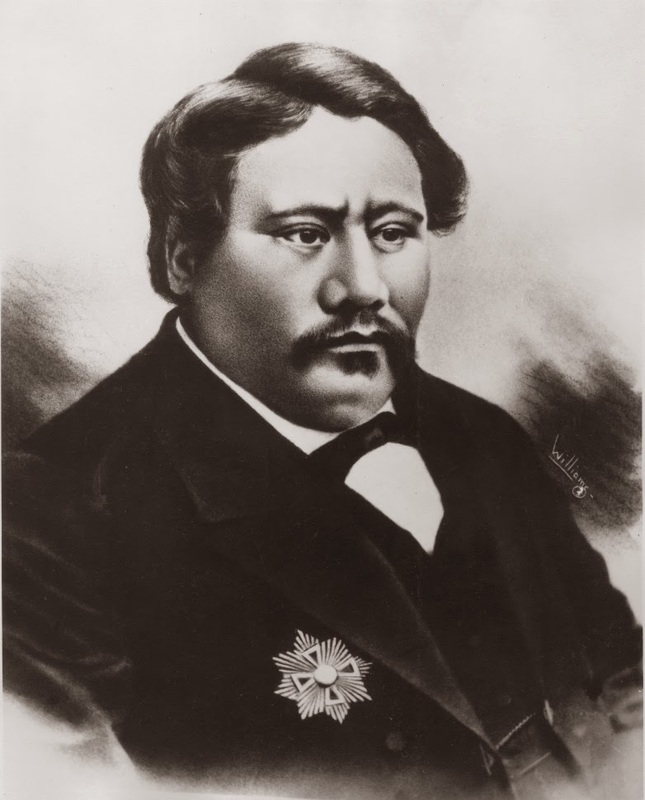 He became president of the Waiakea Mill Co.
During the monarchy he served in the House of Nobles, 1889, was a member of the advisory council under the provisional Government and was a Minister of the Interior in President Dole’s cabinet. With the new century he started a new career, when in 1900 he started construction of the Alexander Young Hotel, fronting Bishop Street and extending the full block between King and Hotel streets in downtown Honolulu. The 192-room building was completed in 1903. The Honolulu businessman whose downtown hotel that bore his name helped him became known as the father of the hotel industry in Hawaiʻi. Extending a block in length and rising six stories in height, the Alexander Young Building was the largest edifice in Honolulu. It dominated the city-scape and was a major landmark in the downtown area. The Young Hotel was used by the military in both World Wars. During WW I, the US Army used the second floor. During WW II, the military occupied most of the hotel. Other notable occupants of the hotel include the 1929 legislature, which maintained its offices there while ʻIolani Palace was refurbished. In 1964, the hotel was converted to stores and offices. The landmark (on the National Register of Historic Places) Alexander Young Building was demolished in 1981. At about the same time, Young formed the von Hamm-Young Company with his son-in-law, Conrad Carl von Hamm and others (an automobile sales, textiles, wholesale sales, machinery and a host of other businesses, and forerunner of The Hawaiʻi Corporation.) He also started Young Laundry. Alexander Young died July 2, 1910. 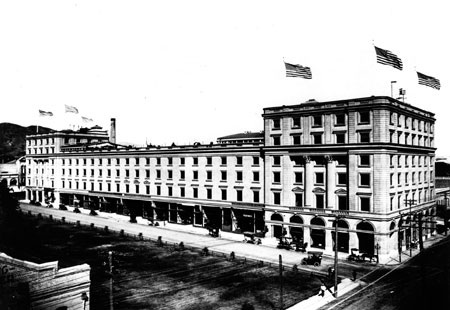 The image shows the Alexander Young Hotel in 1904. In addition, I have added other images in a folder of like name in the Photos section on my Facebook and Google+ pages.